We rely on all participants to display appropriate behavior at all times. Additional guidelines may be developed as deemed necessary. River Trails Park District reserves the right to dismiss a participant or spectator for inappropriate conduct. Each situation will be evaluated on its own merit. River Trails Park District recognizes the importance of safety for our employees & participants. It is our goal to develop & carry out an ongoing program where the health & safety of everyone is the most important factor. All employees are directly involved in making safety a matter of continuing concern. With a cooperative spirit, we will be successful & benefit all members of our Park District Community. Adopted by the Board of Park Commissioners 2014. Our goal is to provide recreational opportunities for all district residents. We provide services to our residents facing financial hardship through reasonably priced financial assistance/scholarship program. If you’re a River Trails Park District resident facing financial hardship you can apply for assistance. Please fill out an application at the Weiss Community Center, 1500 E. Euclid Ave., Mt. Prospect. Call 847.255.1200 for any questions. Scholarship assistance is made possible from funds raised through our River Trails Park & Recreation Foundation a 501(c)3 organization. The River Trails Park District is a member of a cooperative agreement among 17 park districts which form the Northwest Special Recreation Association (NWSRA). NWSRA exists to provide outstanding opportunities through recreation for people with disabilities. The agency’s team of full-time Therapeutic Recreation professionals and trained part-time staff offers safe, fun and quality year-round opportunities to individuals with disabilities of all ages and ability levels. Participants benefit through increased self-esteem, physical and social skills development and improved fitness and health while experiencing new challenges, making friends and having fun! Afterschool, evening and weekend activities feature cooperative sports and games, individual and team sports, arts and crafts, fitness, cooking, creative arts and drama. Camps, trips and special events are also available at various times throughout the year. 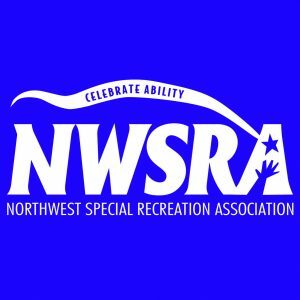 Inclusion assistance is provided by NWSRA to those individuals who wish to participate in their home park district programs. When registering, the parent of an individual with a disability should inform the park district (and NWSRA, if desired) of any accommodation needed in order for the individual to successfully participate in the program. The park district staff will then contact NWSRA for assistance with the accommodation. For more information on NWSRA, brochures may be picked up at the Weiss Center or at the NWSRA office at Park Central, 3000 W. Central Road in Rolling Meadows. NWSRA may be contacted at 847.392.2848 (voice), 847.392.2855 (TTY) or 847.392.2870 (fax). Check out NWSRA at www.nwsra.org. River Trails Park District supports & complies with the Americans with Disabilities Act. If you require assistance to participate in our programs, use our facilities or have any questions or concerns, please notify us upon registration to insure a smooth inclusion. We are an equal opportunity organization & shall continue to adhere to the doctrine of equality of opportunity & non-discrimination in all of our programs, services & employment. Please be aware that staff may take photos of participants enrolled in Park District activities or people on Park District properties. These photos are for Park District use only & may be used for publications and/or the park district’s website and Facebook page. River Trails, Prospect Hts. & Mt. Prospect Park Districts have an agreement to bring more recreational services to our residents. Your property taxes will continue to support only the River Trails Park District, but you will be entitled to certain additional benefits at the “partner” park districts…Prospect Hts. & Mt. Prospect. All programs & facilities, except for the golf courses, offered by our partner districts are available to you at resident rates. Residents will still be given first priority when registering for their favorite programs within their home park district. To take advantage of this outstanding partnership, when registering for programs or purchasing a membership at our partner districts, present valid proof of your name and address with a valid driver’s license or state ID. To find out more about what our partner districts have to offer, please call, visit their website or stop by the Prospect Hts. Park District’s Gary Morava Recreation Center or Mt. Prospect Park District’s RecPlex or Central Community Center. To provide quality services, River Trails Park District & School District 26 has enjoyed a cooperative relationship for many years. We share facilities and/or programs in an effort to bring you the best. We’d like to express our appreciation for this continuing outstanding effort. In compliance with the Illinois Freedom of Information Act, the River Trails Park District provides information to assist citizens who ask for access to records authorized under the Act. If you would like to make a request for access to public records, click the link below to print and fill out a FOIA Request form.